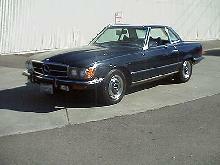 A new range of Mercedes SL sportscars arrived in 1971 to replace the original 230/250/280SL range that had been in production since 1963. 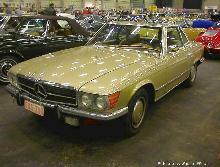 The new range included 350SL and 450SL V8 engined versions. 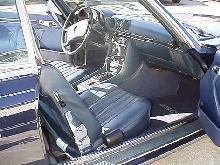 Overall both cars were larger and heavier than the previous cars but retained the thoroughbred lines and classic style. 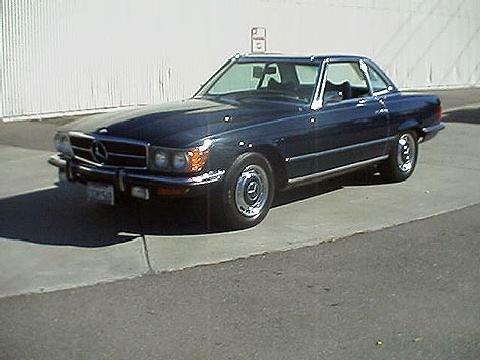 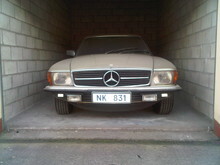 The 450SL used the larger 4520cc V8 engine which was usually mated to an automatic gearbox. 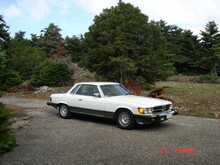 S-Class suspension was used for improved ride comfort in keeping with the overall shift towards luxury in the SL range. 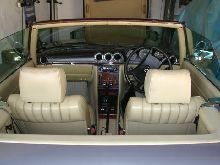 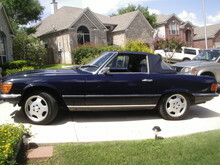 A convertible soft-top was standard equipment although a metal hard-top was once again available complete with "Pagoda" styling.